A UH Hilo instructor, in collaboration with the University’s Department of Performing Arts, has enlisted the help of student actors for reenacting the story of a Japanese immigrant worker, his untimely murder, and the subsequent legacy of this event. Katsu Goto, a sugar plantation worker and Japanese immigrant, is today remembered for his staunch advocacy of labor rights. At 23 years old, having just arrived at Honolulu Harbor from Japan in the 1880s, Goto was assigned to Soper, Wright & Co., a plantation in O‘okala on the Hamakua Coast. After his three-year labor contract was completed, Goto opened up a general store in Honoka‘a. Goto had become proficient in English, and soon became a mediator and translator between the Japanese workers and plantation management - including the owner of Honoka‘a Plantation, Robert Overend. Overend soon came to view Goto as a pro-labor zealot, potentially capable of stirring unrest among his workers; because of this, Goto was banned from the plantation. Moreover, his life would be at stake if he was caught interacting with Overend’s workers. On Oct. 19, 1889, a fire broke out in Overend’s canefields in the middle of the night; Overend immediately pinned blame on Goto for the blaze. After an investigation, the suspected Japanese laborers called upon Goto for his help. Knowing his life was at risk, Goto rode on horseback over to meet them on the night of Oct. 28. 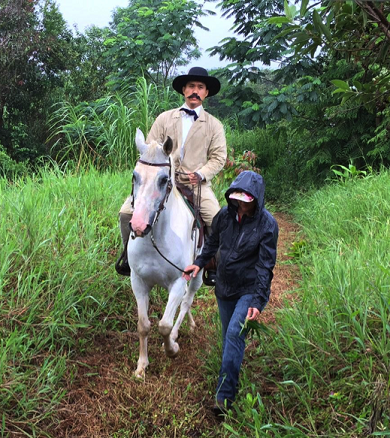 Leaving the plantation around 10 p.m. that night, Goto promised to call an immigrant inspector in the morning; instead he was ambushed and pulled from his horse, breaking his neck on impact. Some thought the fall instantly killed Goto, but a coroner’s report showed that he was still alive when he was lynched, eventually dying from asphyxiation. On the morning of Oct. 29, Goto’s body was found hanging from a telephone pole in Honoka‘a. His death marked a turning point for sugar plantation workers - leading to the organization of unions, which secured improved working conditions and better wages. 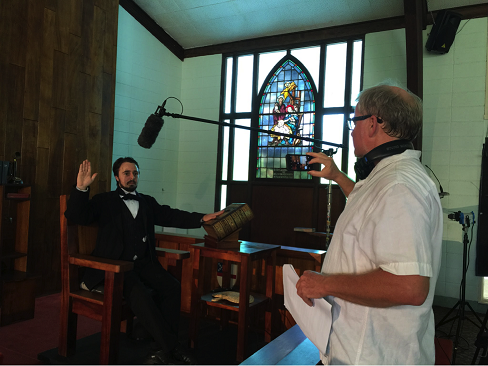 Today, Goto’s story is told through interviews of his direct descendants, historians, community members, and immigration experts through HD digital photography, drone aerial views, reenactments, and historical footage. The forthcoming 60-minute documentary has been made possible by executive producer and UH Hilo instructor Patsy Iwasaki, with input from the University’s Humanities department and the Katsu Goto Memorial Committee. Another prominent backer of Iwasaki is Professor Jacquelyn Pualani Johnson - the chair of the Performing Arts department - who casted UH Hilo students as the actors in the documentary. Johnson is likewise tasked with overseeing the period costumes, hair and makeup. Iwasaki noted how the project has been well-received within the community. Several organizations have volunteered their services to Iwasaki. all of which allowed filming by providing locations for certain scenes, such as The film’s courtroom scenes, for instance, were shot at Hilo’s own Church of the Holy Apostles. 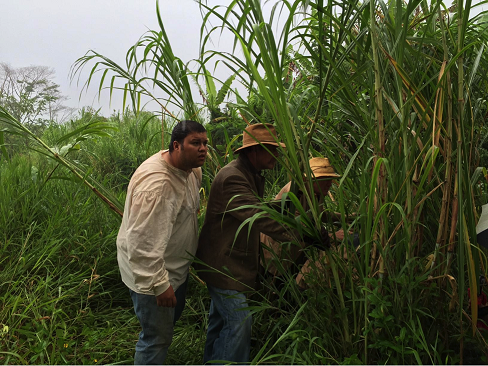 Other scenes in the film were shot at Sweet Cane Cafe’s two-acre sugarcane fields. Heart Ranch, meanwhile, provided horses. Iwasaki says that the making of this project, which first began in 2014, has been an extremely rewarding journey. The documentary is still in the production phase and will not be finished for at least another year. However, 6-minute and 22-minute previews are available to view as well as information and coverage of the project are available on the website: KatsuGotoMovie.org. In addition to extensive filming on the Big Island, the small film crew has traveled to Maui to film the last remaining HC&S Sugar Company sugar cane fields and burning, and even traveled to Japan to interview family members and sources, historical documents and scenes from Goto’s early life before emigrating on the first Kanyaku Imin, contract laborer ship to Hawai’i. The film goes beyond Goto’s life and explores five key themes: the democratic influence of the U.S. over the Meiji Restoration and the “People’s Rights Movement” in Japan, participation in civic life, protection and promotion of human and labor rights, laws and procedures applied to Goto’s case, and intimidation of minority groups. Upon completion, Iwasaki intends to submit Katsu Goto to the Hawai‘i International Film Festival; she also hopes to get her film broadcast on PBS Hawai‘i, and other distribution outlets in both the U.S. and Japan. 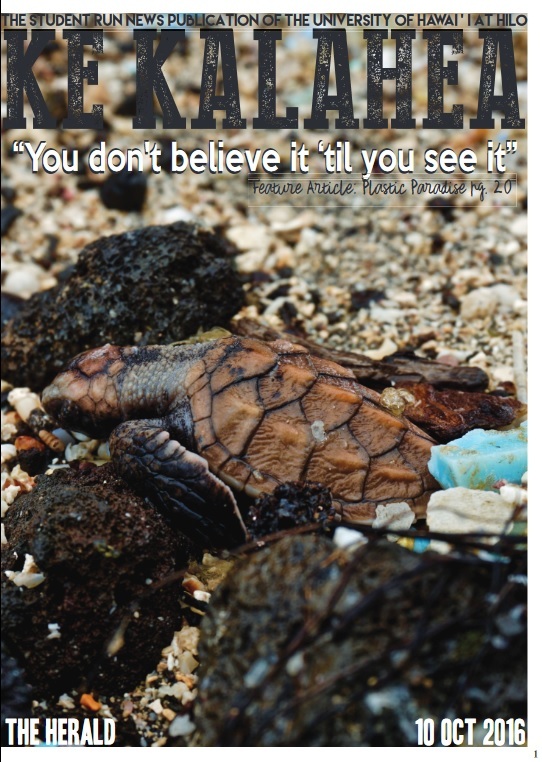 From an educational standpoint, perhaps the most symbolic victory in Iwasaki’s eyes would be collaborating with the state Department of Education on distributing the film to local keiki. Indeed, for Iwasaki, the significance of Katsu Goto’s story cannot be understated, nor is its relevance to the history of Hawai‘i.